Tag Archives for " Dorie Clark "
My guest for this week’s episode of the Duct Tape Marketing Podcast is Dorie Clark. She is a marketing and strategy consultant as well as a frequent contributor to Harvard Business Review, Entrepreneur, and Forbes. She and I discuss her new book, Entrepreneurial You: Monetize Your Expertise, Create Multiple Income Streams, and Thrive. Clark is an adjunct professor at Duke University’s Fuqua School of Business and the author of many books, including Reinventing You and Stand Out, which was named the #1 Leadership Book of 2015 by Inc. magazine. A former presidential campaign spokeswoman, the New York Times described her as an “expert at self-reinvention and helping others make changes in their lives.” Clark consults and speaks for clients including Google, Microsoft, and the World Bank. What new idea are you presenting in your new book? Where do people get hung up when asking somebody to pay for their expertise? What are your thoughts on portfolio careers? Learn more about Dorie Clark. Access the Entrepreneurial You Self-Assesment. I think there’s plenty of information out there about personal branding and self-promotion. The thing that’s often lacking or not said is that in order to really stand out you’ve got to have an idea or point of view that people want to be a part or at least spread. So much emphasis is put on getting a big following that people seem to forget you must start with being follow worthy. I wrote a book an entire book on the idea of referrals and the first half emphasized that the secret to getting more referrals was to be more referable. It’s not just about creating a platform, it’s about creating something valuable and building a platform around that. 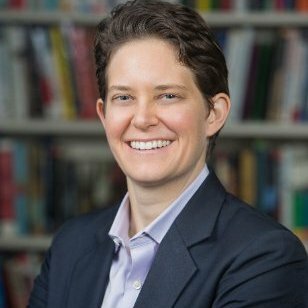 My guest for this week’s episode of the Duct Tape Marketing Podcast is Dorie Clark, marketing strategy consultant, frequent contributor to Harvard Business Review, Forbes, and Entrepreneur and author of the new book Stand Out: How to Find Your Breakthrough Idea and Build a Following Around It. 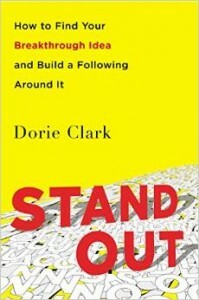 In Stand Out, Clark does an excellent job of spelling out the fact that the formula for success lies primarily in discovering your breakthrough idea. A breakthrough idea can be a simple, unique point of view applied to a mature industry or it can be a totally new, innovative product that helps people do something that can’t do now, either way it’s the basis for building a long-term road to success by standing out. Who needs to stand out? Is there a financial value to being identified as a thought leader? What personal branding strategies apply universally?